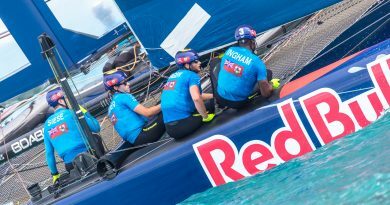 Nathan Outteridge and Dean Barker entered the day in very different positions; the former facing the very real prospect of his Artemis Racing team facing elimination from the 35th America’s Cup and the latter standing on the verge of his SoftBank Team Japan making history for Japan by seeing a Japanese team reach the Louis Vuitton America’s Cup Challenger Playoffs Finals for the first time ever. 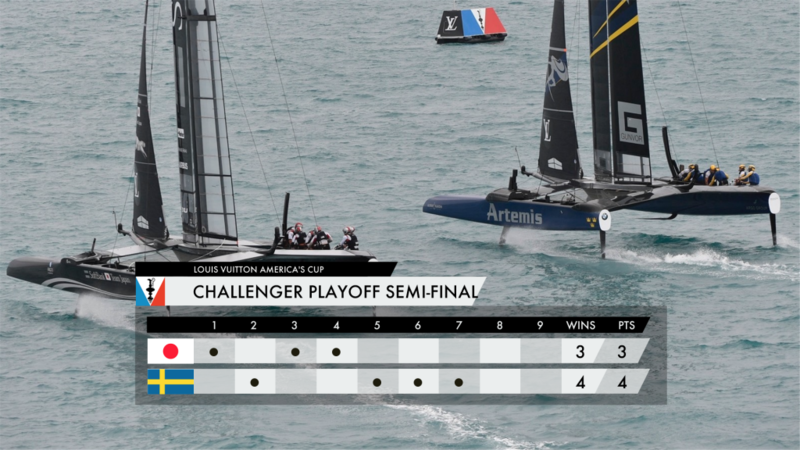 However, facing a 3-1 deficit following back-to-back defeats on Tuesday, Nathan Outteridge and Artemis Racing mounted an almighty comeback against their Japanese rivals, Dean Barker’s SoftBank Team Japan, winning three races on the trot to take the score in their Louis Vuitton America’s Cup Challenger Playoffs Semi-Finals to 4-3. That scoreline means the two teams will race again on Friday to decide the second Finalist. In reply, SoftBank Team Japan’s Dean Barker is refusing to concede defeat. “It’s never ideal to lose three races in a day and it is frustrating for everyone but we take a lot of heart from today into tomorrow. 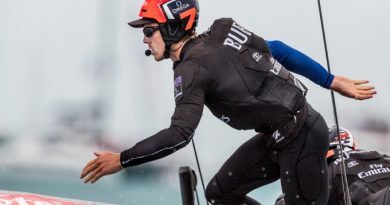 Ahead of their first duel of the day, Nathan Outteridge knew that a repeat of Tuesday’s two defeats to SoftBank Team Japan would see them eliminated from the 35th America’s Cup. 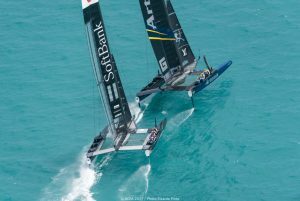 However, it was SoftBank Team Japan who, despite leading their Semi-Final 3-1, showed early nerves in the two teams’ first encounter of the day as the Japanese team were handed a penalty for crossing the start line a fraction too soon. 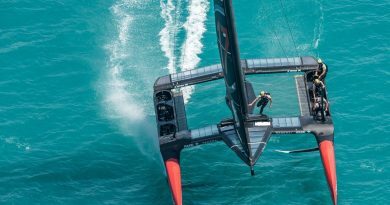 Artemis Racing then built on that opening victory and levelled the scores against SoftBank Team Japan with a second successive victory. While Barker sailed an almost faultless race, Artemis Racing did not make the mistake the Japanese team would have been hoping for and Nathan Outteridge steered his team home with a 28 second victory, levelling the scores at 3-3 ahead of the teams’ third and final battle of the day. Having won both of the day’s previous battles, Nathan Outteridge made it a hat-trick of victories in the last race of the day, turning a 3-1 deficit at the start of Thursday into a 4-3 lead at the end of the day.